There may be plenty of fish in the sea, but for seafood processing hub Cowie Inc., only the very best that sea has to offer is good enough to end up on its customers’ plates and menus. 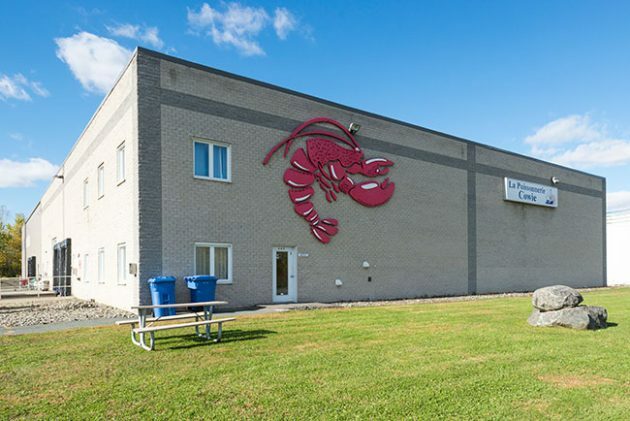 Founded in 1985, the lively 45,000-square-foot operation in Granby, Que.—strategically positioned halfway between Montreal and the U.S. border—is a seafood lovers’ dream come true. 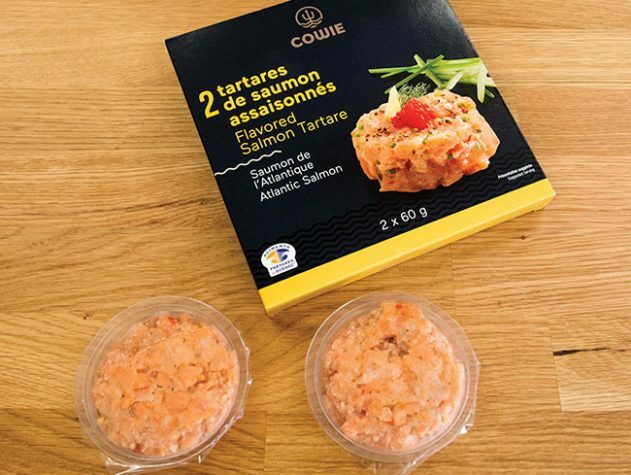 Sourcing its raw products predominantly from Canada and Chile, Cowie’s mouth-watering seafood delicacies include Japanese-style tournedos, salmon meal kits, salmon wellington, bacon-wrapped scallops and, above all, the company’s one-of-a-kind salmon tartare. Distributed across Canada by leading retailers like Metro, Sobey’s and Loblaw’s, the company’s culinary creations are largely sold as its retail customers’ private-label brands, with about a quarter of its output marketed under the processor’s own Cowie’s banner. Opened up in 1985, the 45,000-square-foot facility has about 50 full-time employees working a busy two-shift production schedule throughout the year in an effort to process, package and ship healthy and chemical-free ready-to-eat seafood meals. “We have a lot of SKUs (stock-keeping units) because we are producing on-demand, and because we are very flexible in our production,” says Louis Levesque, president and general manager of Cowie. As Levesque relates, the company employs about 50 full-time staff over a two-shift schedule throughout most of the year, but it has enough built-in capacity to be a three-shift operation, if and when the market demand requires. “The production volume is pretty stable over the year,” Levesque says. Boasting a globally-recognized BRC (British Retail Consortium) certification for food safety, the Cowie plant naturally faces a lot of competition in the highly contested food sector, says Levesque, especially from the lower-priced meat protein options like red beef and poultry. According to Leveque, convincing retail customers that there is a sufficient market demand for higher-end, value-added premium seafood products is an ongoing challenge. The Cowie plant currently houses six production lines, according to Levesque, who acknowledges the need to add more automation to the facility’s current production process, as the existing set-up requires a lot of manual labor. “Operating the machines manually is good because we are flexible,” he says, “but at the same time it’s a challenge because we can not optimize our costs. “Our vision for the facility is simple—we would like to have three production rooms automated and three operating as ‘flexibles’ for testing new product concepts,” Levesque told Canadian Packaging in a recent interview. Manufactured by Multivac Canada Inc., the Multivac Baseline F 100 thermoforming packaging machine is designed to fit into compact spaces and can also be easily integrated into the facility’s packaging line systems and components. Some of that transition to more automated production has already been set into motion thanks to the plant’s recent work with meat processing and packaging machinery group Multivac Canada Inc. over the last year. Specifically, the project involved an installation of the Multivac Baseline F 100 entry-level thermoforming packaging machine at the facility on a trial basis. “We presented a rental program to help Cowie enter the market while minimizing the initial financial investment,” says Richard Tremblay, regional sales manager at Multivac Canada. Featuring a compact-footprint design to fit into confined spaces, the F 100 & R1xx thermoformer series has the ability to process flexible and rigid film with a thickness of up to 500-μm and a film width up to 459-mm, according to Multivac, while providing a maximum forming depth of up to 130-mm and a maximum cut-off length of up to 500-mm. 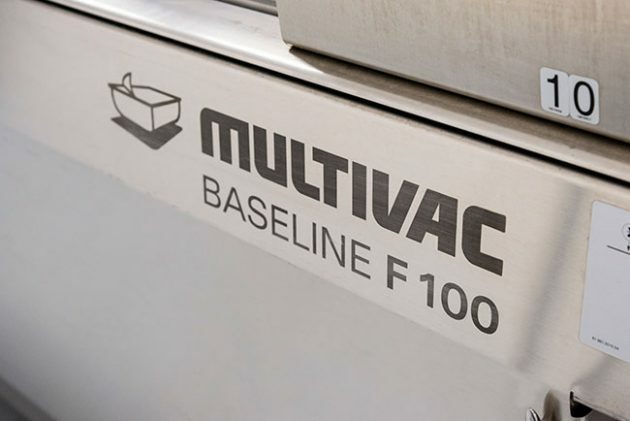 “With its superior hygienic design, the Multivac F 100 assists in reducing the chance of product contamination for customers,” says Tremblay. “Moreover, its user-friendly control platform enables Cowie to improve their packaging efficiency and throughput, as well as reducing ‘leaks’ and being able to redeploy their staff to other areas of the business,” Tremblay explains. Levesque full-heartedly agrees. “We are not producing low-cost types of products: we are producing some of the more high-end, value-added products in the seafood industry,” Levesque asserts. “Hence we often need to explain why our products are typically more expensive,” he relates. “We are selling quality, so our packaging is often the first point contact with the consumer to convince them that this product also equals quality,” says Levesque. The PL200G lidding machine from automation powerhouse Control GMC applies a film lid to a package of salmon tartare prior to distribution. 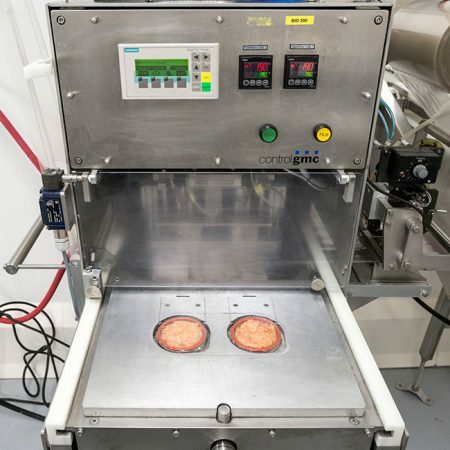 According to Levesque, one of the machine’s biggest impacts has been its ability to produce high-quality vacuum-sealed packages of finished premium products and meal kits, which are also vacuum-packed with sauces and vegetables for a full ready-to-eat meal solution. Having such capabilities enables Cowie to offer its retail customers value-added customized packaging and transformation services for their private-label products to improve their shelf appeal. In addition, this type of packaging also helps to minimize the handling of the product, which typically arrives in bulk boxes and needs to be re-packed into smaller 350-gram retail bags, with retailers’ stickers attached, before shipping to customer, who then may rebag that product in even smaller portions at their end. Having the Multivac machine in place also enables Cowie to highlight its processing capabilities better for the retail customers, according to Levesque, as well as provide more transparent packaging for consumers choosing their private-label products. 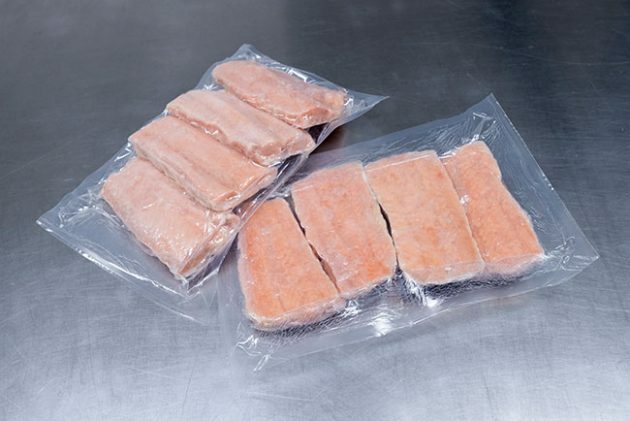 A close up of packaged salmon fillets vacuum packed by the Multivac Baseline F 100 thermoforming packaging machine. “We get a very positive response when people understand what they are getting for this price,” Levesque says. Naturally, Multivac’s Tremblay is delighted with Cowie’s positive experience with the F 100 thermoform packaging system so far.